Hollywood wants to destroy Christianity. It’s important that we rise up and let all of those elitists know that Christianity is the fundamental backbone of the United States of America. Unfortunately, Hollywood openly mocks it every chance they get. And at the 2018 Emmy awards one joke about Christianity was so inexcusable and unfunny that it will make you sick. Hollywood despises Christianity to so much that it’s detestable. Our Founding Fathers made sure to include a Christian-centric foundation in our country’s original documents. It’s probably because they knew at some point there would be an attack on it. Hollywood elitists hate that. They want to bring it all down. But what was surprising was the lengths at which they would terrorize Christianity at the Emmys. 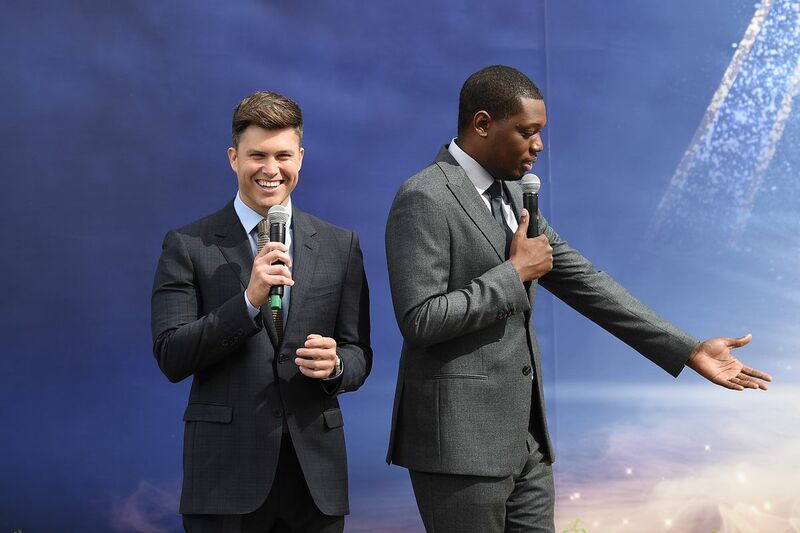 Colin Jost and Michael Che co-hosted the event. They are the co-head writers of President Trump-bashing Saturday Night Live. First of all, that’s incredibly racist. Imagine if his white co-host, Jost, said the exact same thing but about black people. There would be pitchforks and it would end his career immediately. What an indictment on Republicans. The subtext to that comment is that Republican Christians are completely insane. Also, he casually compares Republicans and ex-drug addicts on the same level. Che basically says that crackheads and Republicans are both just as crazy as each other. But those weren’t the only horrific jokes the two co-hosts told. That’s an amazing way to kick someone while they’re down. It’s important to point out that Barr wants to learn Arabic and the culture over there. That doesn’t exactly sound racist, does it? Barr tweeted one night that former President Obama’s White House Senior Advisor, Valerie Jarrett, was basically a reference to Planet of the Apes. But Hollywood ripped the rug out from underneath Barr prematurely. They had a knee jerk reaction. Especially when you consider that Barr’s show was the biggest hit on television. It was because of her too. She was the writer, creator, executive producer and star of Roseanne. The comedian has known her for a long time. You might be surprised to learn that President Trump’s name wasn’t dropped once during the broadcast. That doesn’t mean that they didn’t reference him though. They brought up “Nazis are bad.” Obviously that’s a reference to the Charlottesville Virginia incident. Samantha Bee also compared his presidency to a “dystopian nightmare,” without saying his name. Trump can take the criticism.